I’ve been trying Bristol CBD Oil after receiving a sample to review. I was sent the 300mg CBD Oil which is a 2,000 mg full spectrum, organic hemp sativa extract. CBD Oil is often reported for it’s health benefits and I was keen to see if it had an impact on my anxiety especially. I have a few different health and mental health issues and I’m always keep to try natural remedies where I can. If you want to try CBD Oil for yourself, enter code PURPLE20 FOR 20% off and free delivery at the checkout. Have you tried CBD Oil before? There are 12 signs you may have an anxiety disorder which has been highlighted in the infographic below. As an anxiety sufferer myself, I think it is important to be aware of the signs. Several times I have shared posts about my own anxiety as well as tips to help others here & think this information is highly important. Anxiety disorder is a serious condition that should be treated immediately. When you see signs that you or your loved one is under this mental condition, you have to seek for professional help the soonest time possible. Not doing so may lead to a more serious situation or condition that may not be treatable or may already deteriorate your or your loved one’s quality of life completely. But before you finally decide to seek for a professional help, you have to understand that anxiousness is different from an anxiety disorder. To help you in assessing your condition, read on the 12 signs you may have an anxiety disorder. If you relate to most or all of these symptoms, you can get help & you are not alone! 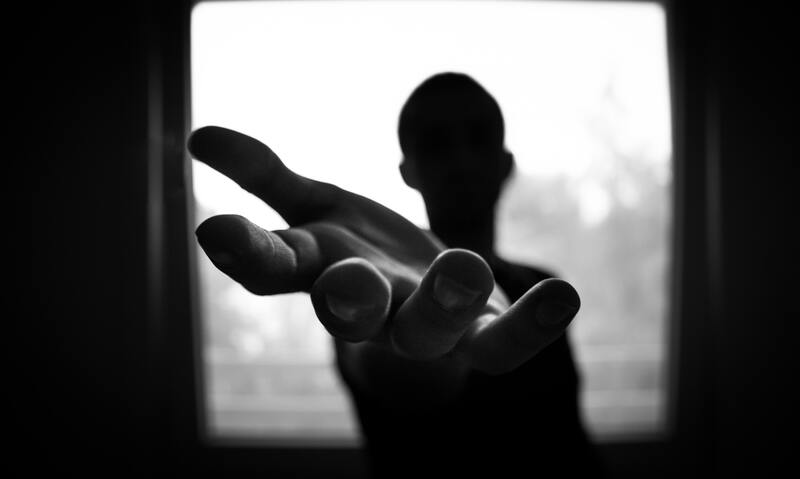 There are approximately 3 million people with an anxiety disorder in the UK. Anxiety disorders are manageable with professional help. Anyone who relates to the signs above, I urge you to seek help. If you need help there are plenty of treatment options to manage an anxiety disorder, from therapy to medication. Talking about your symptoms with your GP can help work out the best options. Counselling or CBT may be extremely beneficial. I know how hard it is to live with anxiety day to day & I am on medication to help control both my anxiety & depression. Having support & professional help can be life-changing for anyone with anxiety so please, check on your friends & family. If you feel you have an anxiety disorder let someone close know if you don’t feel ready to face a GP. By having a close friend or family member aware of your symptoms they may be able to accompany you to appointments. There are many different organisations available & helpful to anyone with an anxiety disorder. I have put together a small list of helplines & services for anyone relating to the signs in the infographic who feel they need help. Most of the sites offer a range of FAQs you may find helpful along with local service locators. Do you relate to the 12 signs you may have an anxiety disorder? Please do reach out for professional help if an anxiety disorder is disrupting your life. Things can get better! It’s Mental Health Awareness week 2018, organised by the Mental Health Foundation. This runs from 14th – 20th May and focuses on stress, a key factor in mental health problems. Research shows 2/3 of us experience mental health problems with stress being a key factor according to the Mental Health Foundation. Stress can cause or worsen anxiety, depression, self-harm and suicidal thoughts. Anyone of us can experience mental health problems throughout our lifetime and we need to openly talk about this to help beat the stigma and raise awareness. Stress in the workplace is the Mental Health Foundations main focus this mental health awareness week. I have written several times on the blog about mental health awareness & my own mental health. 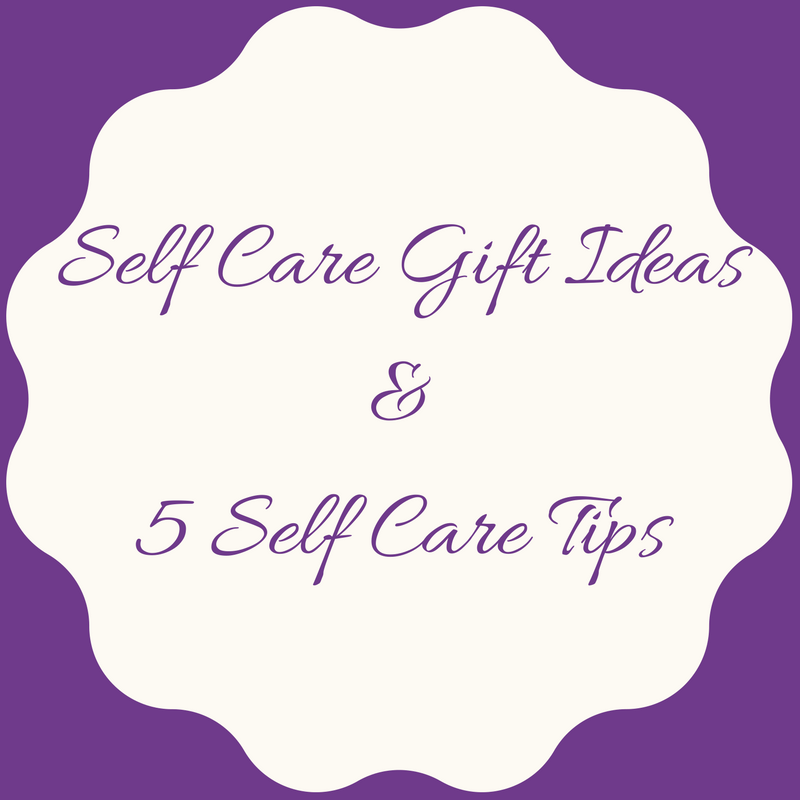 From struggling with chronic pain at 25, my anxiety, having a carer at 27 and more. 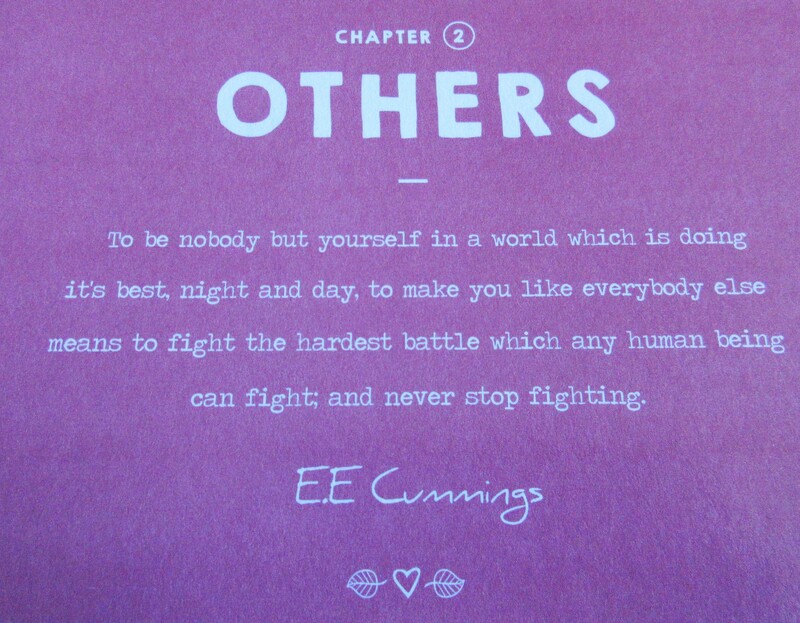 I know I’m not alone as there are some wonderful bloggers & readers out there who have opened up too. Young children and teens are also at risk of stress with the pressure to maintain high standards in school, friendships, overloaded with school work, homework and endless tests. Adults have so many different stressors from overworking, lack of wor/ability to work, financial strains, family issues and more, it can be difficult to cope in this hectic world. The more we talk about this, the easier it will be for those suffering mental health problems to speak up. I used to bottle everything up myself and it made things so much worse! Beat The Stigma – Talk! Talking about my mental health through the blog at times has been extremely cathartic for me. I know from comments left that opening up has helped others to do the same, it’s a chain reaction. Whilst most people may not feel comfortable to write publicly, talking to close friends and family can do the same. The more we talk about mental health and make changes to lessen day to day life stresses, the easier is to admit how we feel and that we need help. The more we talk about mental health and make it everyday conversation the quicker we can beat the stigma and support one another better. If you need to talk to someone my DM’s/Email is always open if any of my readers ever want to chat. Sometimes we need a little more than that and the following charities are here to help, should you need it. It may also be useful to look for therapists in your local area. Did you know it was mental health awareness week? Having a carer isn’t something I expected to happen at 27 years old. I suffer from Chronic back pain, Sciatica, Depression, Anxiety & apparently (yet to be diagnosed) PTSD. Due to my ESA being refused after 2 years receiving it, we have had to look at other options. I simply can’t cope with a tribunal, talking to strangers, going through my weaknesses yet again. It is honestly soul destroying, my mental health isn’t at a point where I can fight a battle like that. For the first time in almost 8/9 years I felt suicidal again. I genuinely felt my family would be better off without me. I thought about facing a tribunal but because I know it will be a struggle to attend, explain myself & I didn’t want to put the whole family through several more months of stress. Instead we have had to look at other ways to get by & as part of that, the Mr is now officially my Carer. Anyone that knows me well will know the Mr has been caring for me fully for the past 3-4 years. We never made that official on paper but it has been the case since Izzy was around a year old. I began to struggle to lift her, the pain would cause me to lose my vision. Things got worse & I know me fighting it & trying to appear healthy did more damage. It took a long time for me to accept I couldn’t manage a lot of daily tasks. The Mr has done so much for us over the years, kept me going during my lowest points, making sure I take my medications, book & attend appointments, reminding me I have to eat at least twice a day, helping me up, chores I can’t manage, shopping, school runs & so much more that it makes sense for him to finally be my Carer on paper. I often joke about being useless without the Mr & it’s completely true, we’ve had our ups & downs but as my health has declined he has gone above & beyond to help me any way he can. Receiving the award letter was both a relief and a slight ‘oh’ moment though. As I said to the Mr, ‘This means you’re officially the adultier adult!’. I panicked slightly then, realising I had fully admitted I need help & a carer for at least 35 hours a week. It’s one thing having that help, it’s another seeing it written down on paper. Once I calmed down it made me realise a few things. Whilst the DWP left me feeling useless & worthless, I do genuinely need the help and whilst ESA may be a nightmare to have awarded due to the shocking state of the system, we are entitled to something! It’s been a rough 2 months with barely any money coming in so it was a relief for the Mr to be awarded & paid carers allowance. I realised I am not admitting defeat like I first thought. Instead, I’m accepting help to enable me to get through day to day life smoothly. Since my ESA was refused daily life has been a bit upside down. I’ve really struggled to do anything I enjoy, including blogging; feeling guilty for letting the family down. Now we have another solution I don’t feel so bad. I know we are on a low income because of me, my mental & physical health but knowing the Mr’s help is now at least recognised I feel a little less like it’s all on my shoulders. Knowing we have some kind of income other than my PIP is a huge relief. Even though I make it difficult because neither of us can work, I feel a little better. It’s tough being ill, it’s even tougher asking for & accepting help but I think in a way I will find it a little easier to ask for help now & not just from the Mr.
Rustic By Marney was set up by Melissa Marney who crafts the most beautiful pens! Like many of us Melissa suffers anxiety and depression but found crafting and letting her creativity flow very therapeutic. I’ll be sharing my thoughts and images of a gorgeous purple flower pen she made for me, on the blog tomorrow! Keep an eye out! Until then here is Melissa’s story in her own words. Looking back on my childhood I now realise that I’ve always suffered with anxiety and depression. At the time I didn’t know anything about mental health issues, and I just thought it was normal behaviour and everyone felt the same way, but I just struggled more with my emotions. I covered my emotions and symptoms well, and looking back had a number of coping strategies, which I wasn’t aware were helping me, to cope at the time. My favourite hobby when I was younger was ballet. I used to attend two classes a week and looking back now it was a way to shut my mind off, detach myself from uncomfortable feelings and emotions and silence those scary, intrusive thoughts. As the years went on and I grew older I stopped dancing and didn’t replace this with another hobby. Having nothing to focus my energy on, my negative thoughts became louder and more uncomfortable and my symptoms worsened. Dealing with day to day life – working, paying the bills, maintaining relationships etc. It all became so consuming, and I knew something wasn’t right at the time but tried my best to conceal it (and I did a fantastic job at it!). I didn’t want anyone to know how I was truly feeling or that I was struggling to cope. There were times where I just wanted to scream out for help, but always remained silent and carried on with life. It wasn’t until a year ago, Steve and I got married in Cyprus, (which was the best day of our lives, very cliché, I know!) things changed. I pretty much arranged the whole wedding myself and in the lead up to it was unaware of how much stress I was putting myself under. Having perfectionist tendencies I wanted everything to go well, and was deeply involved with the all or nothing thinking. I also wanted to ensure everyone was happy and was having a good time. While I was busy thinking about everyone else and my ‘perfect’ day I neglected my own needs my health was suffering as a consequence. When Steve and I returned from our wedding I didn’t feel myself at all. I put it all down to the ‘come down’ from the high I had been on the past few weeks. Nevertheless, I powered on and tried to get back into the real world. Unfortunately my mind and body had other plans. Two weeks later I had a breakdown, I completely shut down physically and mentally, I became an empty shell, I was just existing and not living. I knew things weren’t right and something had to change. It took me a while to accept what was happening. It took approximately six months to dig myself out of that ‘hole’ and get myself back on the right track. I’m still in recovery now, but having the right support, and a change in my thinking and attitude has helped me to accept it’s now just a part of me, and adjust to living with anxiety and depression. During my recovery I found a new love in crafting. Throughout the years I’ve always told myself I’m rubbish at arts and crafts, I can’t do it and I believed it! It wasn’t until I started crafting my own place cards, guest book pens and jars for my own wedding where I realised this was all total rubbish! 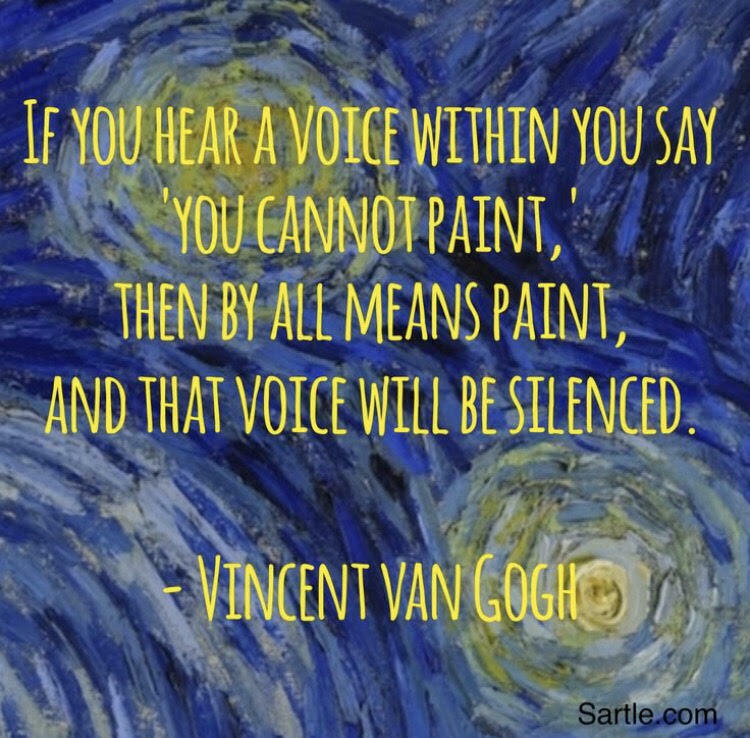 Silencing that negative voice in my head was a great victory. I’ve always been ambitious and dreamt of owning my own little business, and finding a purpose in life. During my breakdown Steve had mentioned to me about crafting again, however at the time I didn’t have the energy. As I slowly started getting better I took his advice and I started making my flower pens again. Slowly in time my passion and creativity started coming back, I was starting to feel my bubbly, confident self again. Crafting has been my biggest inspiration and I truly believe it has helped me cope over the past few months. Crafting has refocused my attention and reignited my passion. Now whenever I feel anxious or have a bad day, however hard it is I grab all my crafting gear, sit down and get stuck in. I’ve found crafting extremely therapeutic and a way to ‘shut off’ from the stressors in the world. Turning my hobby into a business has given me great comfort as I now believe in myself. Having a passion in crafting and weddings, and combining the two is the perfect combination and therapy for me! There’s also that extra bonus of helping other brides have the best day of their lives. When they do then my mission is accomplished! Rustic by Marney can be found over on Facebook & Twitter. Whilst she does focus on weddings her gorgeous pens will brighten up any desk. You can find out more about Rustic by Marney and see the gorgeous pen she sent me too! Do you find crafting therapeutic too? 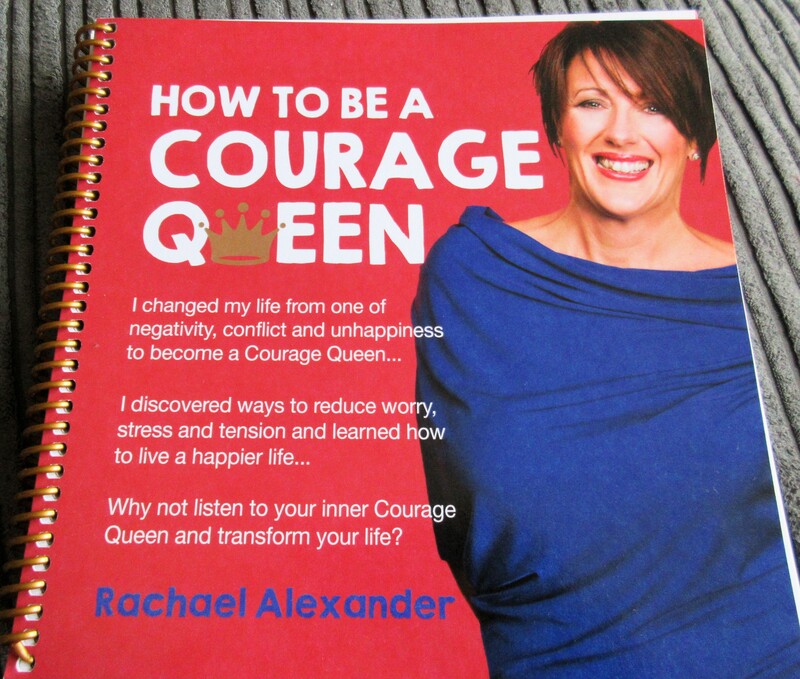 How to be a Courage Queen written by Rachael Alexander, a behavioural change psychologist, is a helpful guide to help change your life. This strategy-packed guide is available for £29.99. 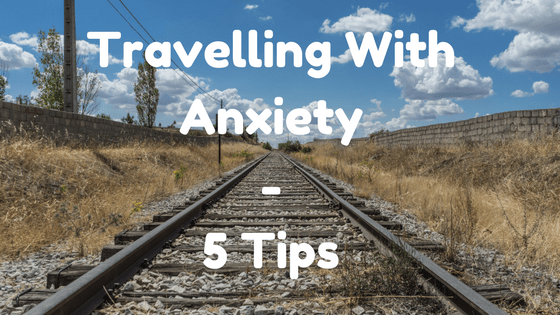 Anyone who reads my blog will know I suffer anxiety. The tiniest things can get me ridiculously worked up. I struggle to say no, feel guilty about small things and tend to feel like everything is my fault and will go wrong simply because it is me. I figured How to be a Courage Queen was worth a read and wondered if it would be helpful. Often I struggle to see the positives in life and focus on the negatives. I’ve been trying over the last few months to make postive changes and help myself. If I want things to improve I have to work on my issues and accept I will have bad days without putting myself down for it. This book helps you cope positively with what is going on around you. It helps you reflect on your life and take action to think or behave differently. Rachael Alexander suffered anxiety too until she began to learn about herself and it changed her life for the better. This gave Rachael the confidence to share these ideas with others in this book knowing it will benefit the reader. This guide is broken down into 3 main sections. Each section is then broken down into manageable sections for you to complete. 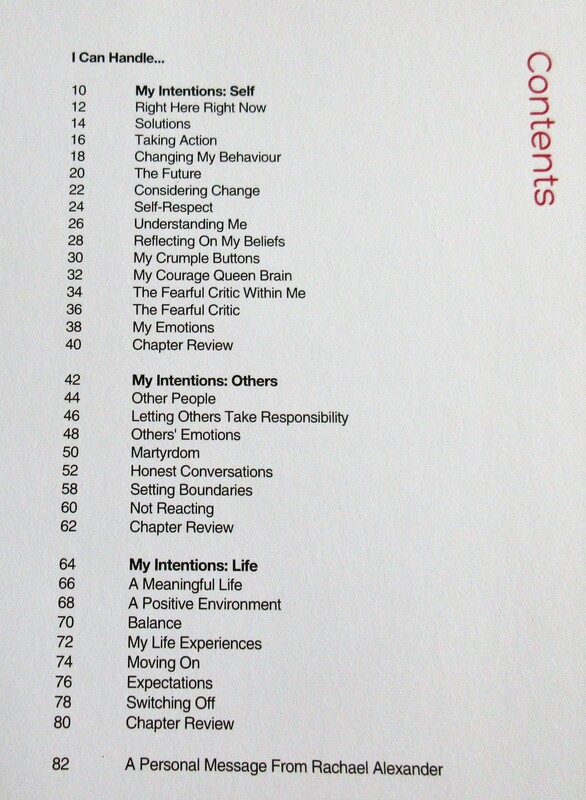 Each section contains different strategies to help you feel more positive and in control. The guide begins with a declaration to yourself to commit to a journey of overcoming fears, living a life of courageous action where you can learn to love and be loved. You declare to commit to living a life of love, peace, purple, passion and joy which you sign and date. A lot of sections ask you questions with boxes provided to fill out your answers. This is great for going back and reviewing your answers and seeing the progress you are making. The guide helps you seek out the answers and solutions to your own problems with simple questions and exercises. Filled with inspirational quotes along the way, you can’t help but feel a little more positive each time. This book covers issues that many people face and definitely feels like it is a helpful book. 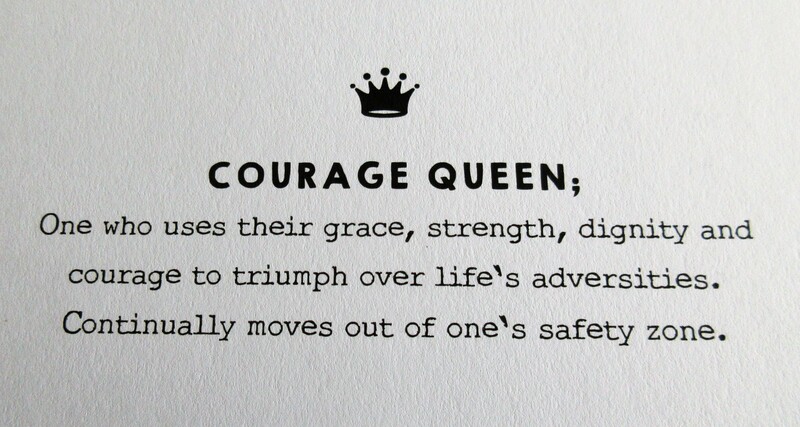 Do you think How To Be A Courage Queen could benefit you too? 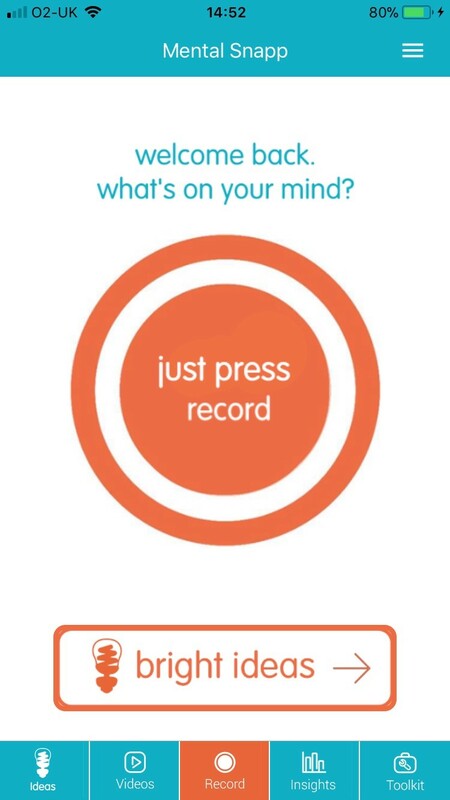 I’ve been de-stressing with the Thrive : Feel Stress Free app over the last fortnight. I introduced Thrive here, a fantastic app created for mental health conditions and designed to gradually build resilience to and manage stress, anxiety and mild depression. Using clinically proven techniques such as mindfulness and CBT over a few weeks can have huge benefits. Me being me I haven’t managed to religiously use the app. I had hoped to use it much more. The Zen garden and Zen challenge does keep drawing me back in however and I feel it’s been beneficial for me. Most evenings I will sit and design a Zen garden or try one of the challenges. I can feel the stress disappearing as I rake and arrange my pretty little gardens. The challenges are simple, a little bit of thinking involved but it’s very enjoyable. With a star rating you can go back and try to think of better ways to solve the challenges too. It really does help me de-stress. Anyone who has seen my tweets this week will no doubt know we have had a stressful month which seems to be continuing. Normally these stresses would have me in tears, feeling helpless and useless.We had our washing machine breakdown the first week back at school. Although we managed to borrow money to replace it only for it 2 breakdown less than 2 weeks later.. with school uniform in.. AGAIN! Using the Zen garden each night seems to be helping me stay calmer. Whilst I am annoyed and frustrated I am managing to keep a hold on my temper and emotions much better. I’m not instantly reacting and being much more mindful. As mentioned in my previous post there are subscription costs for thrive, having used the app I feel they are actually very reasonable prices. For my readers however I have a special code to use through October so you can try out Thrive: Feel stress free for yourself and hopefully start de-stressing like I have! Use code FSFOCT300917.